Ibis Styles Bali Petitenget Hotel is the gateway to Seminyak and Petitenget areas, Strategically located in Seminyak area, just 5 minutes from Petitenget Beach and 10 minutes to Batu Belig beach also easy reach of entertainment venues such a Potato Head and Ku De Ta. Part of the MyResorts program featuring exclusive experiences for Le Club AccorHotels members. Lets our Streats indulge your sense and satisfy your craving international cuisine and authentic local delicacies. 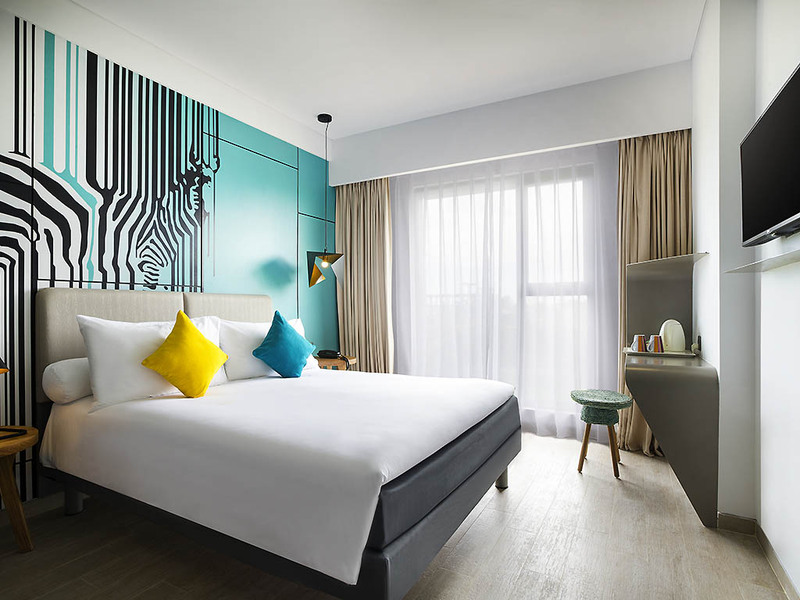 ibis Styles Bali Petitenget is strategically in the heart of trendy Petitenget. Northern sibling of Seminyak & surrounded by restaurants, beach clubs, cafes, boutiques, shops & galleries, which makes it a popular destination for upmarket lifestyle. Devour in an exquisite and free flow beverage experience with MyGlass Package. Pamper your kids with kid's meals and kids movies at kid's corner with MyKids package. THE SIGNATURE RESTAURANT SERVES INTERNATIONAL CUISINE AND AUTHENTIC LOCAL DELICATE. CHILL OUT WITH OUR REFRESHING BEVERAGE MENU. THE PERFECT PLACE TO MEET UP FOR SOCIAL OR INFORMAL BUSINESS GATHERINGS.